So, it’s that time of the year again!!! 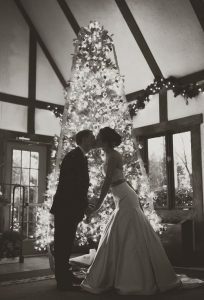 I love Christmas and what better than getting married during Christmas time? Imaging mixing the Christmas atmosphere with the most important moment of your life…what an awesome moment would be!!! 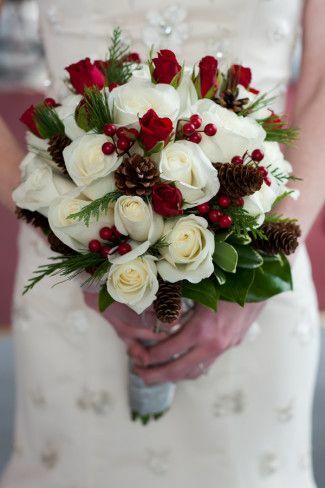 As wedding planner I am always excited when couples ask me to organize a Christmas wedding, especially for destination weddings in Peru, since here is summertime and it would be a very different Christmas for you and the majority of your guests that are used to have a winter Christmas. Imaging if you could celebrate Christmas on the beach in flip flops … well of course use flip flops after your wedding! 😀 Getting married in this part of the hemisphere on Christmas time is amazing guys! Also Christmas time is a holiday season, the majority of people have some days off from work, so potentially your guests will be able to travel for your wedding celebration, especially if you are thinking about a destination wedding. As you can see there are lots of pros to get married during Christmas time. 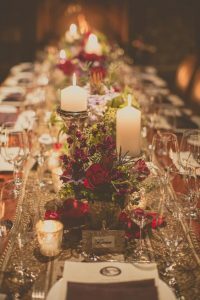 I want to share some tips on how to have a very special Christmas wedding celebration, so that maybe Christmas 2017 could become an option for you. First of all spread Christmas cheer but do not exaggerate! It is fine to use some decoration details, such as tiny Christmas hats, pinecones, but please do not feel your reception area with Santa climbing the walls, or the windows! 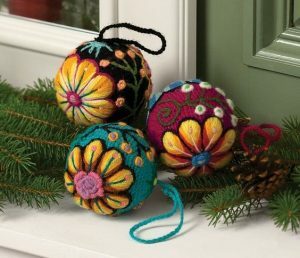 😀 You can certainly stick with traditional Christmas colors, such as red, green and gold, but use some neutral decoration too. 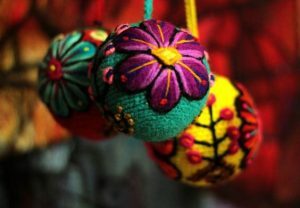 For instance you can use Peruvian handicraft to decorate the reception area as well. Just to remember your guests that you are getting married in Peru. Use many lights and candles, but please do not go lights mad! 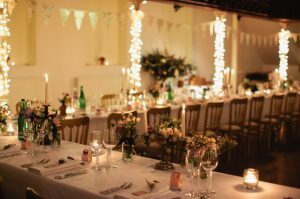 Lights are essential for Christmas time; use them wisely for your ceremony and reception venues. You might hang the lights around columns, in case the venue you selected has them, or if you have stairs just light up the two sides of the stairs. 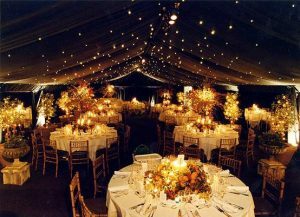 If you are having an outdoor reception you can use lights to decorate trees and hang them all around the reception area. The effect would be awesome! 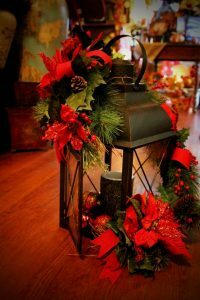 Add a special Christmas touch to the flower decorations, especially to the table centerpieces! Use Poinsettia, which is typical at this time of the year. It is available in different red shades, it will bring a splash of red and green to the reception tables and believe me no flowers says Christmas like the amazing Poinsettia. You can use it as centerpieces combines with moss and white, beige or gold aromatic candles, you can also combine Poinsettia with succulent and cactus, especially if you decide to get married in Peru this could be a good option, or you can place a Poinsettia flower directly on the plate, or the napkins, you really have plenty of choices.